Description: BEACH CORNER with Dianna Chycki from Beach BOOSTER Radio. 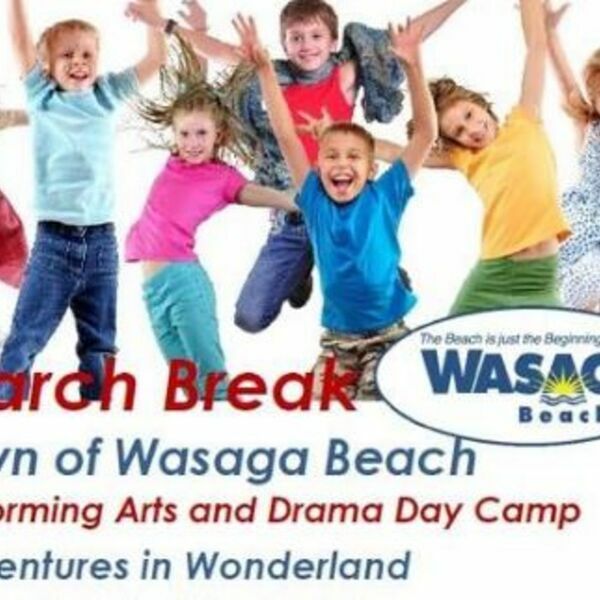 March Break is fast approaching and the Town of Wasaga Beach is delighted to present “Performing Arts and Drama Day Camp” for ages 6 to 12 years old from March 12th to March 16th at the Wasaga Beach RecPlex from 9:00 a.m. to 4:00 p.m. This year’s theme is “Adventures in Wonderland”. This program aims to encourage children to interact with others while being creative both socially and physically. Joining Dianna for this week's BEACH CORNER is youth drama instructor for the Town of Wasaga Beach, Laura LaChapelle. Laura is well versed in community theatre having worked with many theatre groups in both the Georgian Triangle and Toronto region. She’s a mother, actor, stage manager and director for PAC – Performing Art Children’s Theatre for the Town of Wasaga Beach where she will be directing the upcoming “Alice in Wonderland”. Laura will share info on the upcoming one-week program. Please enjoy and SHARE this great local program from Beach BOOSTER Radio, Wasaga Beach's only truly LOCAL radio! BEACH CORNER with Dianna Chycki from Beach BOOSTER Radio. March Break is fast approaching and the Town of Wasaga Beach is delighted to present “Performing Arts and Drama Day Camp” for ages 6 to 12 years old from March 12th to March 16th at the Wasaga Beach RecPlex from 9:00 a.m. to 4:00 p.m. This year’s theme is “Adventures in Wonderland”. This program aims to encourage children to interact with others while being creative both socially and physically. Joining Dianna for this week's BEACH CORNER is youth drama instructor for the Town of Wasaga Beach, Laura LaChapelle. Laura is well versed in community theatre having worked with many theatre groups in both the Georgian Triangle and Toronto region. She’s a mother, actor, stage manager and director for PAC – Performing Art Children’s Theatre for the Town of Wasaga Beach where she will be directing the upcoming “Alice in Wonderland”. Laura will share info on the upcoming one-week program. Please enjoy and SHARE this great local program from Beach BOOSTER Radio, Wasaga Beach's only truly LOCAL radio!